“Mad” Mike Hughes, a 61-year-old limo driver and former motorcycle racer, doesn’t believe in science. He also doesn’t believe the Earth is round. So he built a homemade rocket out of salvaged parts for $20,000 and will launch himself nearly 600 metres into the sky this Saturday, November 25. 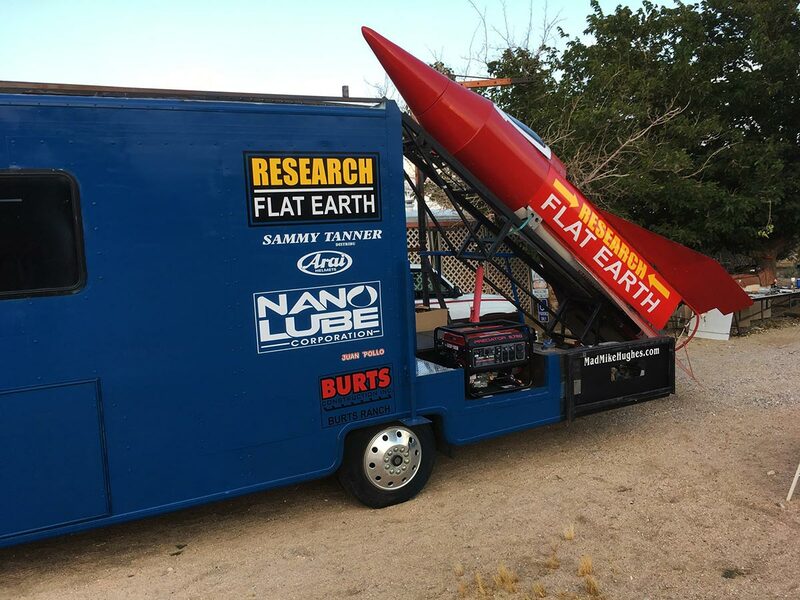 (The town mayor has given his blessing, and Hughes has funding from a society called Research Flat Earth.) But this flight—which will send him soaring over Amboy, California, a ghost town in the Mojave Desert—is just a test. The ultimate goal? To build a rocket that will send him high enough above the Earth to photograph the straight horizon he’s sure we all live on. “I know about aerodynamics and fluid dynamics and how things move through the air,” he told the Associated Press. “But that’s not science, that’s just a formula. There’s no difference between science and science fiction.” You can watch the launch on his website, or try and spot the Earth’s curvature yourself. And speaking of scrappy independent technology, let’s turn to Central America: Costa Rica has just passed 300 days of running entirely on renewable energy. The country gets more than 99 percent of its electricity from five renewable sources: mostly hydro, but also wind, geothermal, biomass and solar. The country has set a goal to become entirely carbon-neutral by 2021 a decade ago, and last year added to that deadline, claiming to be able to eliminate single-use plastics by the same time. Kudos to Costa Rica! You know who else wants to be fully self-sustaining? Uber. The ride-share company just bought 24,000 Volvo SUVs to kickstart its fleet of driverless cars, expecting delivery dates between 2019 and 2021. Pesky human drivers currently comprise the company’s biggest cost, so if this takes, Uber will have successfully disrupted itself after disrupting the taxi industry, affecting not only those businesses but even car sales to private consumers as well. The future is now, people! Soon we’ll be sitting in cushy Uber robot cars, watching people shoot themselves into space on carbon-neutral energy. What a world. I wish Mikey the best of luck in his launch, however, the world will be a better place if the landing goes all wrong.